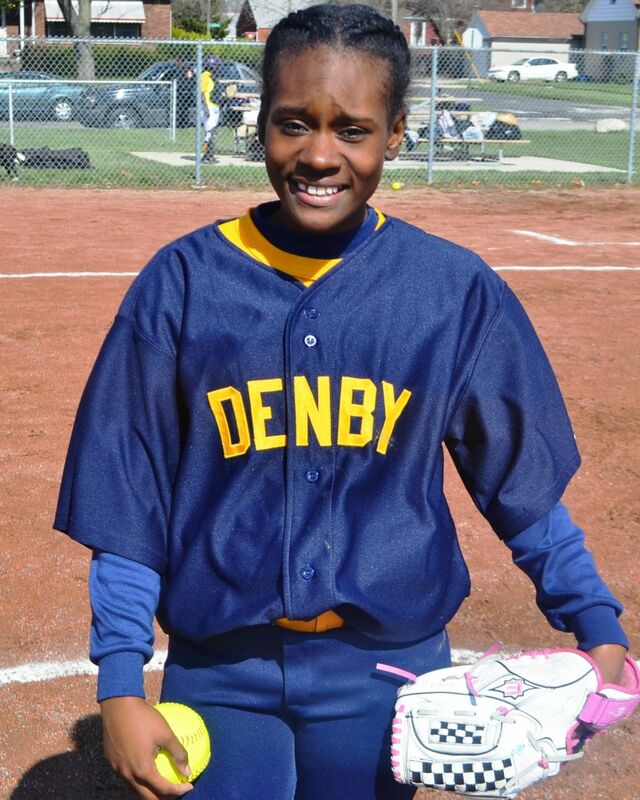 Sannia Walls, a four-year varsity starter, is leading Denby High’s pitch to contend for the Detroit Public School League girls’ softball championship. Walls’ pitching has been the catalyst in Denby fashioning a 5-0 league record which led the PSL East Division entering Monday’s game against 3-0 Cass Tech, last year’s PSL runners-up. Even more than her pitching, Walls said the team’s positive attitude adjustment has been responsible for Coach Ivan King’s Lady Tars’ emergence as a title contender. In only her second year on the mound, Walls, a 5-2 senior, has successfully switched positions after starting her first two seasons at catcher. 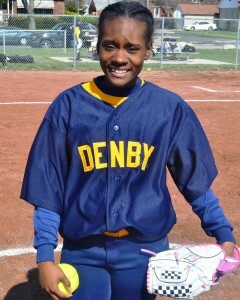 She’ll be leaving Denby with lasting memories and the satisfaction that she left her mark, including her All-City selection last year.